The 3 Tea’s – afternoon tea, cream tea and high tea. You can never have too much tea, but it can get a little confusing. When I lived in England it would be very common for me to say ‘it’s time for tea’, or ‘what’s for tea’, or ‘its on at tea time’…trust even us Brits can get confused by the many uses of the word ‘tea’. In essence the word ‘tea’ can relate to the drink, a meal or a party, and the difference can be quite substantial. But don’t feel bad, a lot of people don’t know the difference including some tea rooms. 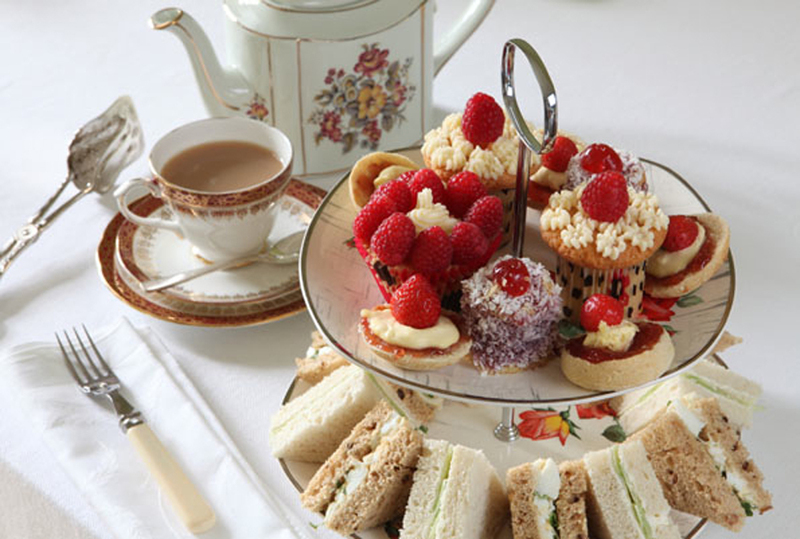 So lets start from the top with the biggest difference between an afternoon tea, a cream tea and high tea. Basically it all comes down to class. Afternoon tea and cream tea, (particularly at the turn of the 20th century) were predominantly a white collar experience consisting of delicate sandwiches, little cakes and scones served on silver trays and bone china around 4 pm. Where as high tea was traditionally thought of as a blue collar meal (particularly in the north of England), generally consisting of a variety of meat dishes, puddings and cakes – this traditional evening meal (served around 6 pm) was the perfect way to end a long day. To cut to the chase, if you were a member of the Hoi polloi you would burst through the door at 5pm, look at your wife and say ‘what’s for tea’? However if you were one of the well-to-do ladies of a certain class you would summon your butler at 3.30 pm and say ‘Geeves, it’s time for tea’. Or if you grew up in England in the 80’s (like me), and you were looking forward to watching the A-team’, we all knew it was on ‘at team time’ every Saturday. I think that covers it, but I will break it down into further detail with a brief description for all 3 events. Afternoon tea is a light meal, originally taken by the wealthy in England in the 1840’s and was a favorite past time of Queen Victoria. During the 1880’s, upper class women would change into long gowns, gloves and hats and take tea, which was usually served between four and five o’clock. The occasion had turned into a fashionable social event, rather than just a meal and ladies would go to meet friends, catch up on gossip, scandal and generally be seen in the right places among the right people, and in passing, to drink tea and sample a small sandwich and a slice of cake. Today Afternoon tea is regularly available to everyone, does not involve dressing up and consists of dainty sandwiches, scones (with jam and clotted cream) along with a selection of cakes (such as Victoria sponge, battenberg cake and fruit cake) served on a tiered stand. It is a fun occasion and one that is becoming very popular in hotels and tea shops all over the world, it is a wonderful way to relax, for an hour and catch up with friends. 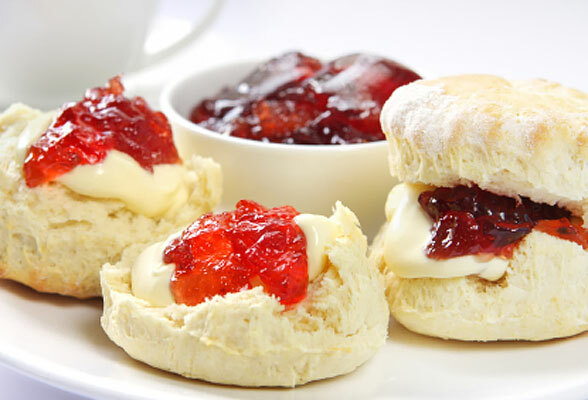 A proper cream tea is hard to find unless you are in Devon or Cornwall in England – they are home to the traditionally cream tea. It is a form of afternoon tea, a light meal and generally features a cup of tea served with scones, clotted cream and jam. It is a specialty of South West England with cream teams being offered for sale in tearooms on both counties. A traditional cream tea can be found in other parts of England but people travel far and wide to sample the local specialty of Devon and Cornwall and the delectable clotted cream. Originally people in the North of England called their midday meal dinner and the evening tea, often served around 6pm. High tea was usually associated with the lower class and consisted of a hot dish followed by cakes and bread, butter and jam. The term ‘High tea’ was first used around 1825 with the word ‘high’ being used to signify that it was taken later in the day. It was not a glamorous occasion, but offered working class families the chance to enjoy a family meal together after a long day at work. What you will not find at High Tea are delicate pretty cakes, social chit-chat or fine porcelain. 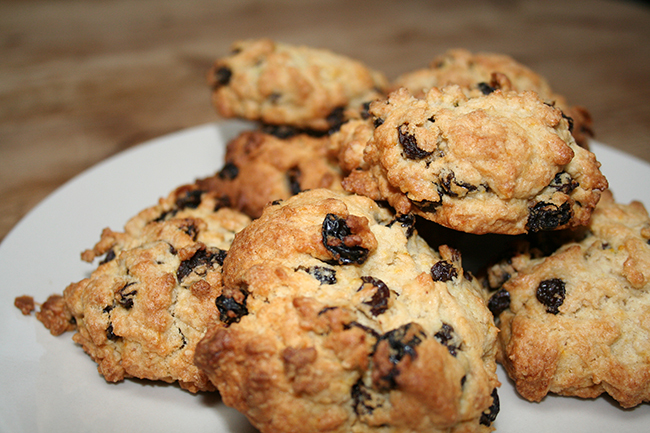 Instead you would be more likely to sit down to rock cakes, flapjacks and eccles cakes, all of which are very good. Today some people in England still refer use the term ‘what’s for tea’, to mean ‘what’s for dinner’, but it is a term that is beginning to die out and being replaced with ‘supper’. Which is sad, I always remember when I was a child asking my mum ‘what’s for tea’ on a Saturday evening. So there we have it, the 3 tea’s. 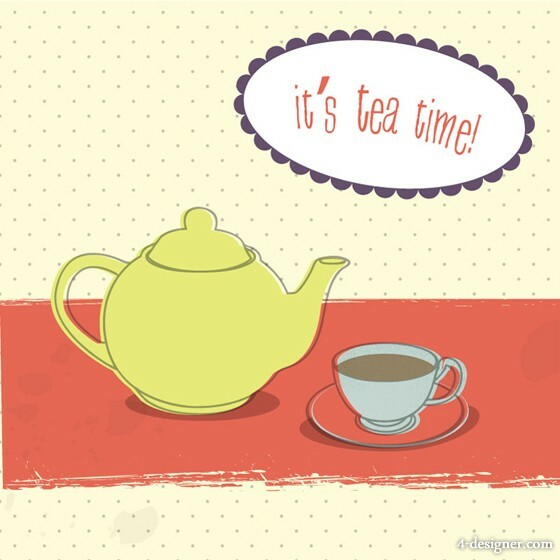 Of course there is yet more tea to discuss, the drinking kind, but lets save that for another day.